The Westport has a contrasting minimal design aesthetic. 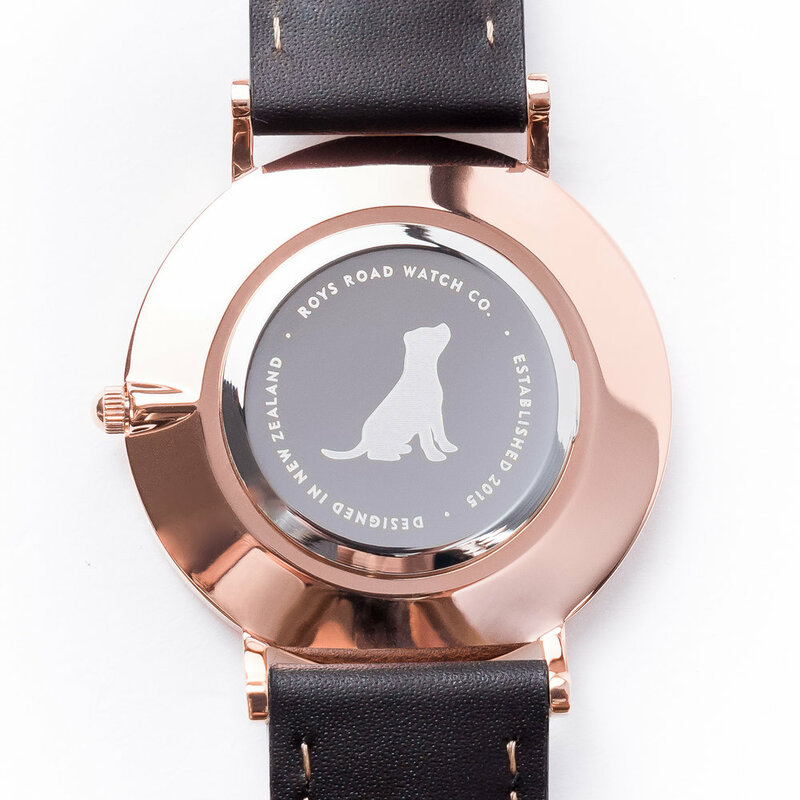 The white face is surrounded by a polished rose gold case. 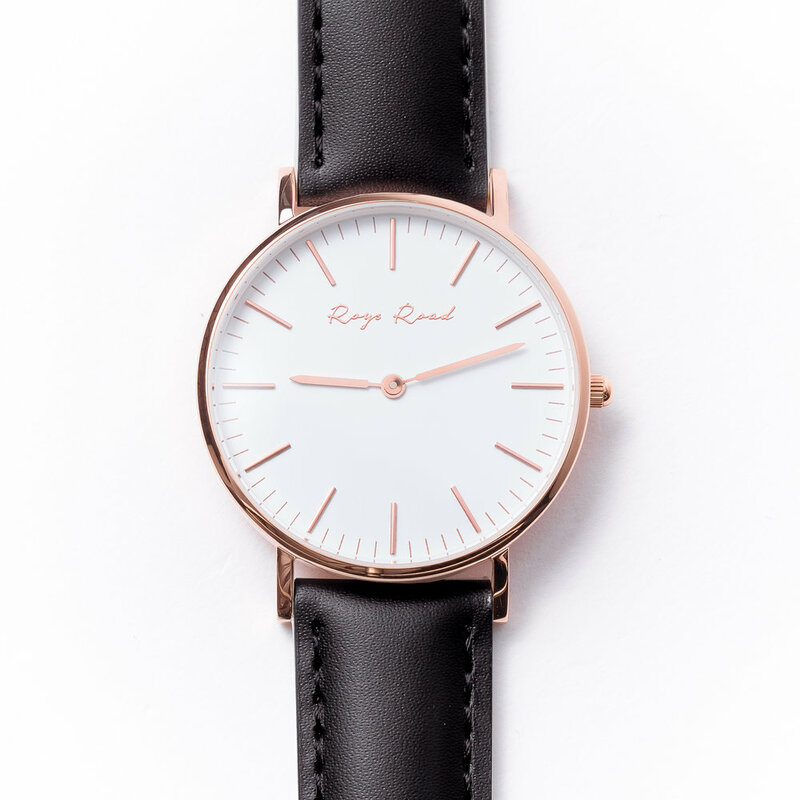 A black genuine leather band completes the Westport. Inspired by the geo-location of Westport, New Zealand. Westport is an isolated town found on the edge of the Tasman Sea, and the mouth of the Buller River. Westport can be found on the west coast of the South Island.